Hope for Life is our response to significant and rising levels of need in our community including food poverty. 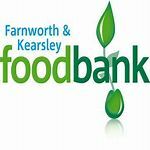 We are developing our support with the Trussell Trust Foodbank in Farnworth and the Storehouse Pantry at the UCAN Centre in our parish, both of which identify families who need food. We support those in need throughout our community because we follow Jesus’ example; we support families whatever their beliefs might be. We don’t think that support should come with strings attached. There are many obstacles to our wellbeing; physical, mental, social and spiritual. Seven Saints stands on the shoulders of generations of Christian men and women, aiming to support, inspire and unite people across our community and beyond. We are also excited about making a greater impact by connecting with wider churches across our region with Bolton 2030.